Now that you’ve graduated into your next life stage, you’ll want to know about cost-of-living adjustments, taxes, and how to stay in touch with TRA while you pursue those retirement dreams. Are you a new retiree? information on a timely basis, you should receive your first retirement check within 30 to 60 days of your effective date of retirement. Due to the large number of educators who retire at the end of the school year, the processing of summer retirement applications may take longer. If your effective date of retirement is in June or July, you can expect to receive your first retirement check during the first week of July, August or September and no later than the first week of October depending upon the timely receipt of your required documents. The first check includes retirement benefits retroactive to your effective date of retirement. For example, if your effective date of retirement is June 16 and your first check is issued during the first week of September, it will include payment for three and one-half months of benefits. Subsequent monthly checks are issued during the first week of each month. 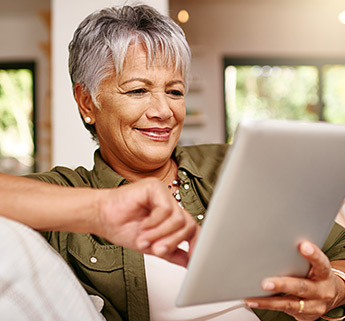 Retirement annuity payments can be electronically deposited in banks, savings and loan associations, credit unions, or other financial institutions. Electronic direct deposit is convenient and provides protection against theft and the uncertainties of postal delivery. It also ensures safe, accurate and timely direct deposit of payments to your account on the first banking day of the month. Direct deposit may be made to an individual account or to a joint account with your spouse or any other person. You can make your direct deposit designation any time by logging in to your MyTRA account or by requesting the form from TRA via email, chat, or phone. Since your pension check cannot be forwarded by the U.S. Postal Service, it is important to notify us of permanent or temporary address changes. Let us know at least 30 days before the date that a temporary address is to begin and 30 days before the date on which you plan to return to your permanent address. Even if you have direct deposit, we need your current address to send the TRIB newsletter, 1099-R annuity income tax statements and other information. You can change your address online by logging in to MyTRA, by mail or fax, or by calling TRA.